Also in the documentary category, Bright Lights: Starring Carrie Fisher and Debbie Reynolds received a nomination for “Outstanding Directing for a Nonfiction Program.” Late actress Carrie Fisher, one of the documentary’s subjects, had bipolar disorder her entire life. Carrie Fisher also received an Emmy nomination for her role in Catastrophe, a romantic-comedy series that streams via Amazon. In reality television, one show included a full cast of people with disabilities and portrayed a fully dynamic characterization of each person. A&E’s Born This Way was nominated for six Emmys and won in two. The nominations included “Outstanding Picture Editing for an Unstructured Reality Program” for three episodes as well as “Outstanding Cinematography for a Reality Program,” “Outstanding Unstructured Reality Program” and “Outstanding Casting for a Reality Program.” The show took home the awards for “Outstanding Cinematography” and “Outstanding Casting” for a Reality Program. The show itself follows the lives of seven adults with Down syndrome and their families who live in Southern California. Born This Way has proven that people would watch shows that feature well-rounded portrayals of people with disabilities since the show has lasted three seasons and is renewed for a fourth. Born This Way has been nominated for nine Emmy awards, and has won three Emmys in the past two years. Shark Tank was nominated for “Outstanding Picture Editing for a Structured or Competition Reality Program” and won the Emmy for “Outstanding Structured Reality Program.” Of the five sharks currently on the program, three sharks have learning disabilities. Barbara Corcoran and Daymond John both have dyslexia, and Kevin O’Leary has a language processing disorder. Project Runway, in its 16th season, was nominated for: “Outstanding Casting for a Reality Program,” “Outstanding Picture Editing for a Structured or Competition Reality Program” and “Outstanding Host for a Reality or Reality-Competition Program.” It also has a nomination for “Outstanding Reality-Competition Program,” which will be announced this Sunday during the primetime Emmy Awards show. One of the two hosts, Tim Gunn, had a speech impediment as a child, and he is now a high-profile advocate for people who stutter. CW’s Crazy Ex-Girlfriend, whose main character has depression and anxiety, was nominated for “Outstanding Original Music and Lyrics” for one of its song-and-dance numbers, which is featured in every episode. This scripted show had a lead character with disabilities for purposes other than parody. In fiction television, Robert De Niro was nominated as “Outstanding Lead Actor” in The Wizard of Lies. De Niro has shared on television that he has a son with autism. This category will be announced during the prime time Emmy Awards ceremony on Sunday, Sept. 17, which will be telecast live on CBS. The 2017 Emmy nominees include actors, narrators and hosts with disabilities. Yet there are no actors with disabilities playing characters with disabilities among the Emmy nominees for fictional or scripted programs. In fact, more than 95 percent of characters with disabilities on television are played by actors without disabilities. People with disabilities are the largest minority in America, with almost one-in-five Americans having a disability. Yet the disability community often is forgotten in inclusion and diversity conversations. A recent report by the Gay and Lesbian Alliance Against Defamation (GLAAD) states that fewer than two percent of scripted television characters (that means 15 characters) had disabilities in 2016. The report, while focused on film, shows that in the last decade there has been almost no progress on diversity, equity and equality in Hollywood. Therefore, we need to find a better model to move change. What people see and hear impacts what they think and feel – and what they think and feel has life-and-death consequences. People with disabilities lack access to healthcare, education and employment opportunities. Medical professionals withhold treatments due to valuing people with disabilities less than those without disabilities. This ranges from OB/GYNs recommending abortions for fetuses with non-fatal prenatally diagnosed conditions to orthodontists not placing braces because of prejudice. Sadly, for generations, television and movies have shown people with disabilities as objects of pity. 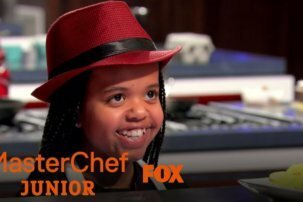 From the Jerry Lewis telethons to stories where school teams become heroes simply by letting one kid with a disability play for a few minutes out on the court or field, society’s television sets and movie screens have brought the American public stigmas that undermine people who have a disability. A major Princeton study showed that people with disabilities are seen as warm, not competent. Similarly, a Cornell Hospitality Quarterly study revealed companies are concerned that people with disabilities could not do the required work. Thus, employers who are affected by what they see out of Hollywood do not want to give people with disabilities a chance. An increase in positive, diverse and accurate portrayals of people with disabilities in television and film can significantly help to end stigmas that limit their health and lives. 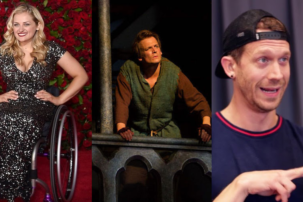 Award-winning actors, producers and directors can use their immense talents to fight stigmas and advance opportunities for the 22 million working-age Americans with disabilities, only one-in-three of whom has a job today. 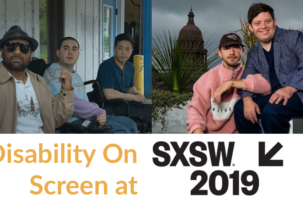 In addition to television highlighting disability, RespectAbility calls on Hollywood to include people with disabilities in all television shows and movies. Depictions of disability should be seen for the abilities and contributions they can make. For example, in scenes where people are working as doctors, lawyers, teachers, etc., the actor could just happen to have a disability – without the focus being on the disability. In this way, more successful role models of people with disabilities will be available. There is good work being done by The Casting Society of America, SAG-AFTRA, GLAAD, the Media Access Awards, and other key leaders from the television, film and disability community. However, much more must be done to tear down stigmas that undermine people with disabilities’ opportunities to receive the education, training and employment opportunities needed to succeed, just like anyone else. This can start with more people with disabilities being visible in front of – and behind – the camera. Changing hearts, minds and behaviors takes great messages, delivery systems and message repetition. Diversity and inclusion processes are also needed inside networks and studios so diversity and accurate portrayals become natural and consistent.